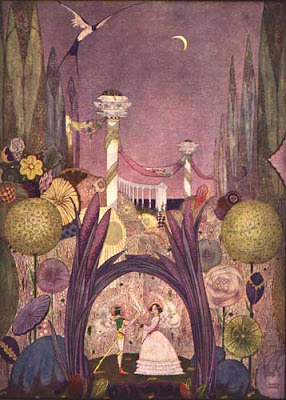 With just a few hours left in the day I discovered that February 26 is Tell a Fairy Tale Day! Not an official holiday, but on multiple calendar and internet sites, so I consider it legitimate. Not like I need an excuse to tell fairy tales! If you want a book that's not too long or academic but still gives you plenty of food for thought, read Fairy Tales: A New History by Ruth B. Bottigheimer. 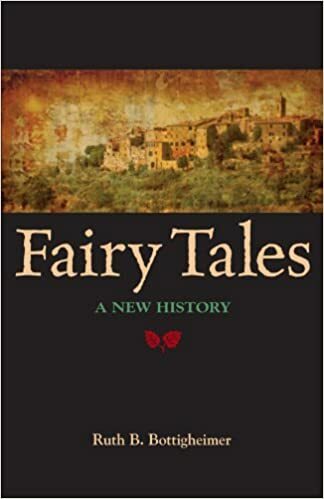 This book challenges the commonly accepted notion that fairy tales have an oral history, but instead have a history that can be traced back through published books. Bottigheimer goes in reverse chronological order, exploring the roots behind the major fairy tale publishers, proving that the roots of their fairy tales were really a previous collection of published tales, not actual peasants. 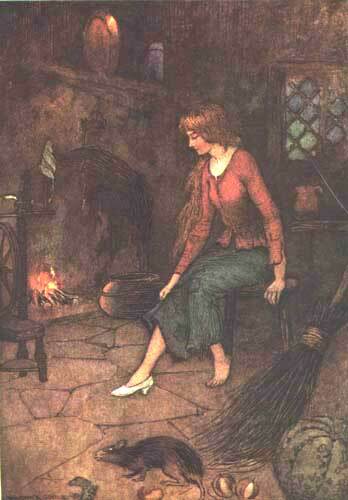 First she started with the Grimms. I actually found this section to be a little frustrating. If you've read anything about the Grimms published recently, it's common knowledge that their informants were their middle class family friends and not actual German peasants. I've posted on John Ellis' One Fairy Story Too Many, which is the book that really first revealed to the English speaking world the truth about the Grimms' collection, but other books published since then seem to give the impression that they're the first to deliver the shocking news and it gets a little tiring when each author claims to be the one exposing the shocking truth. Bottigheimer spends too much time giving you the false scenario which is "commonly believed" about the Grimms traipsing through the German countryside and searching for tales, which gets old and comes across as a little condescending to the reader. It almost weakens her arguments, because few people, especially today, believe this given scenario exactly, so it sets you up on the defensive rather than being receptive to hearing what she has to say. Even before Ellis, not everyone was completely ignorant-in my last post, I shared what Sokolov published in 1950-that it would be foolish to assume that the tales originated from the people as a whole and obviously had an author at some point. I enjoyed the other sections more. As I've lamented about before, if my library is any indication, books about the Grimms are plentiful, but reading about Perrault is limited to chapters in other books, and it's virtually impossible to read about Straparola and Basile without spending a fortune on more obscure books, so I was very interested to read about them. (But for the dedicated, the wonderful Heidi Anne Heiner of Surlalune has a Basile's Pentamerone page and a Straparola's Facetious Nights, where the tales are available to read in full text! I have determined to read more of them...) Basically, in the timeline of published fairy tale collections-Straparola in the 1550s, Basile in the 1620s, then Perrault (and Lheritier and others) in France in the late 1600s/early 1700s, and finally Grimms in 19th century Germany-for each major collection, the previous collections were in print, widely circulated, and translated into multiple languages, so that each author was aware of the tales of the other authors and intentionally (Basile, the French authors) or unintentionally (Grimms, who may have been somewhat deceptive but really did think they were preserving the German tradition in their tale collection) created their own versions of the previously existing stories in their own collections. Bottigheimer provides examples of the tales that evolved under each author's pen, from the well known (Sleeping Beauty) to the obscure. Even Straparola's were based off of previous story collections, but Bottigheimer also makes a very bold claim: "It was Giovan Francesco Straparola who created rise fairy tales." Bottigheimer defines rise and restoration fairy tales, which are very helpful terms when categorizing: a rise tale is one in which the protagonists begins in poverty and acquires a royal spouse and wealth through magical means. A restoration tale features a character that begins in an elevated state, is brought low through some humbling circumstance, and rises back to power and wealth at the end-for example, Donkeyskin, who begins as a Princess, is forced to make herself ugly and work as a servant because of her father's incestual passions, and ends up as a rightful princess. Some longer fairy tales may be a rise and a restoration within the same tale. 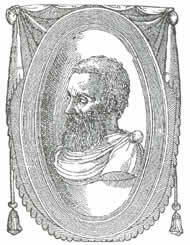 These terms can help us understand the history of a tale and how it is created to meet the demands of the audience-Straparola's tales were written in Venice at a time when there was lots of poverty, and naturally the poor would be enticed by a rise tale, and his collection featured many rise tales. 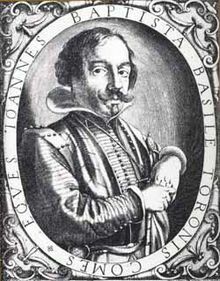 Yet Basile wrote his tales for the upper class, who dispised the poor, and in his collection, "the vulgar masses are rejected and depicted as repellent." There are a few rise tales in his collection, but Bottigheimer tells us they are rare exceptions. Yet restoration tales abound, which is something his audience can relate to. According to Bottigheimer, "dig where we may, no rise fairy tales can be found in layers of literary remains before Straparola." 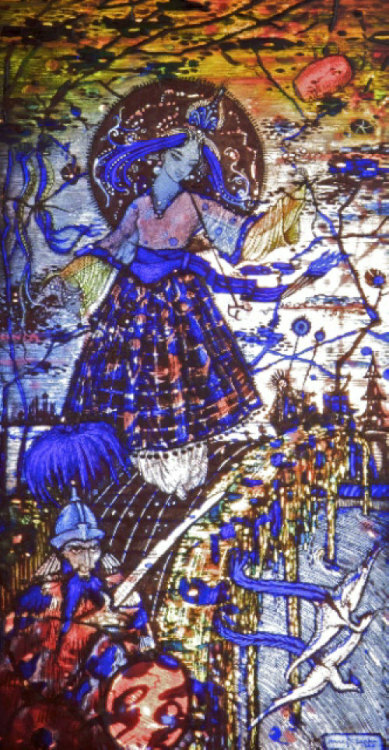 Yet what about the ancient Chinese tale of Sheh Hsien, from the 8th century, which features a poor mistreated girl, forced to do all the work, who with the help of a magic fish acquires beautiful clothes and gold shoes, with which she was discovered by the King, who married her? How is this not a rise tale? Bottigheimer doesn't mention this version of Cinderella. Here's where things get sticky-Bottigheimer states that, though many motifs common in fairy tales may have been around since antiquity, Straparola was the one who really created the genre. Yet you really have to look at the history of each tale itself. Beauty and the Beast is usually traced back to the myth Cupid and Psyche. Yes, Cupid and Psyche is a myth and not a fairy tale, but it is still part of the history of the story-drawing lines to define genres can be helpful but doesn't give us the full picture. 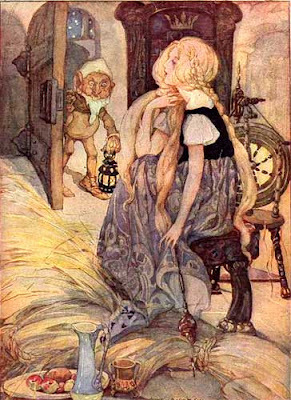 Bottigheimer's implication is that, in creating the rise fairy tale, Straparola created the genre we know of as fairy tales, but what about fairy tales that aren't rise tales or can't be necessarily traced back to Straparola? Surlalune traces the Frog King back to the 13th century, as well as a Scottish version from 1549, both before Straparola. What about those tales that don't even necessarily end happily, such as Swan Maiden tales? 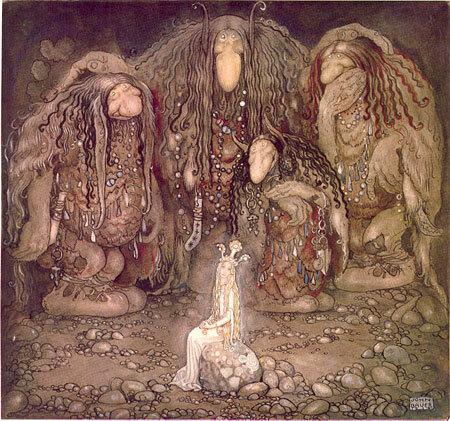 While we now create categories and criteria, the tellers of the tales most likely didn't distinguish between rise and restoration tales, fairy tales or tales about fairies, but simply told stories. While I think most people, even those writing on fairy tales, underestimate the significance of Straparola and Basile and published books in the history of the tales, you can't say everything started with Straparola. But certainly fairy tales as we know them would be significantly different without him. Fairy tales are trendy now, which is fortunate or unfortunate depending on how you view it. There are lots of versions being made now, with many fascinating insights into the tales, and hopefully people are beginning to realize that fairy tales are not just simple nonsense for children, but dark and intriguing stories with potential meanings on multiple levels. 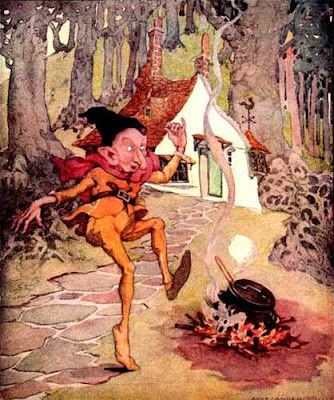 But on the other hand, the popular media may be helping to circulate incorrect stereotypes about fairy tales, and the creators may be more interested in generating audiences than staying faithful to the tale's history. How do you feel about it? 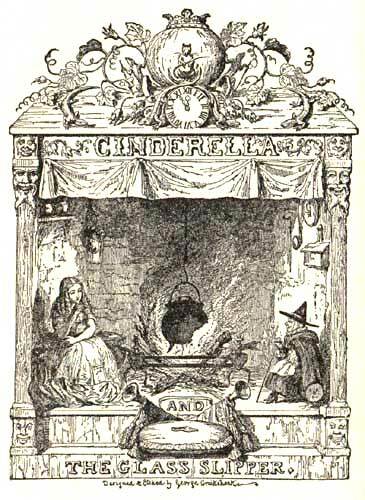 Did the recent fairy tale treatment in books, movies, and television inspire you or anyone you know to look into them further? Or were you a fairy tale fan before and resent the fact that they're everywhere? Young adult authors are certainly jumping on the bandwagon, which means that there are fairy tale inspired stories everywhere but not necessarily really good quality ones. 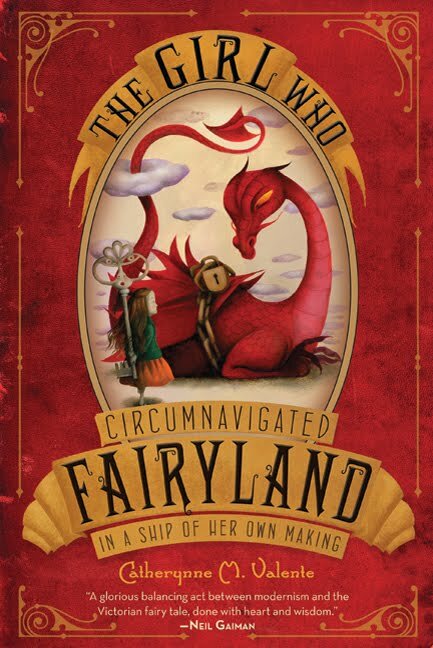 So many new books about fairies I have no interest in, so when I heard about The Girl Who Circumnavigated Fairyland in a Ship of Her Own Making by Catherynne M. Valente, initally I thought nothing of it, but after looking into the reviews I became curious. 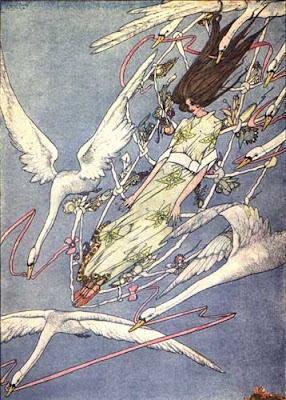 "Fairyland is a book that is both deeply in love with fairy tales and sharply critical of them: the story of September, a girl who flies from her dreary and sad life in Nebraska to Fairyland on the Green Wind. 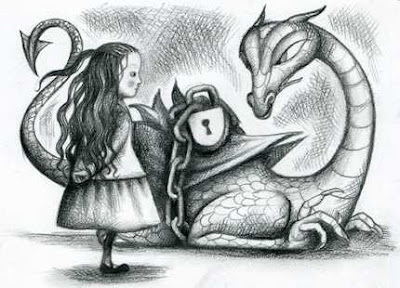 In Fairyland, she meets every sort of wonderful mythical beast (including a wyvern that's half library), eats the most wonderful and strange things, and has the most wonderful and extraordinary adventures and quests. 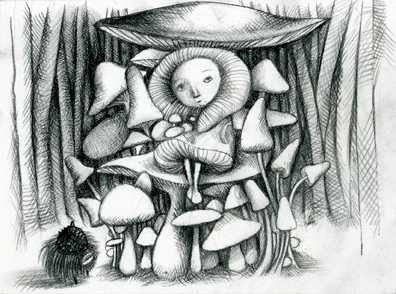 And it really is wonderful: whimsical and lyrical and shot through with an imagination that simultaneously renders the traditional furniture of fairy tales fresh, and manages to make the author's own inventions seem as mythic as the first story told in the first cave in front of the first fire. But Valente's fairytale broods and seethes, and it is not always such a nice place. For every velocipede herd thundering across the plain, ridden by a marvelous fairy in aviator's leathers and jodhpurs, there's a whipped blue water-djinn who bears the emotional scars of slavery. For every autumn kingdom filled with fiery sylvan alchemists, there is a political exile in the winter country, banished and sorrowing. For every brave sacrifice from September's companions, there's an abandoned soap golem that wishes the good queen would restore Fairyland to its glory." "Let's say, for example, that a certain children's librarian was getting bored with the state of fantasy today. Maybe she read too many Narnia rip-offs where a group of siblings get plunged into an alternate world to defeat a big bad blah blah blah. Maybe she read too many quest novels where plucky young girls have to save their brothers/friends/housepets. So what does the universe do? Does it say, "Maybe you should try something other than fantasy for a change"? It does not. Instead it hands the children's librarian a book with a title like "The Girl Who Circumnavigated Fairyland in a Ship of Her Own Making" and (if she hasn't hyperventilated after reading the title) says to her, "Here you go, smart guy. Try this on for size." That's what being cocky will get you. It'll have you reading a book that walks up to the usual middle grade chapter book fantasy tropes and slaps 'em right smack dab in the face. I have never, in all my livelong days, read a book quite like Catherynne Valente's. My job now is to figure out whether that is a good thing, or very very bad." 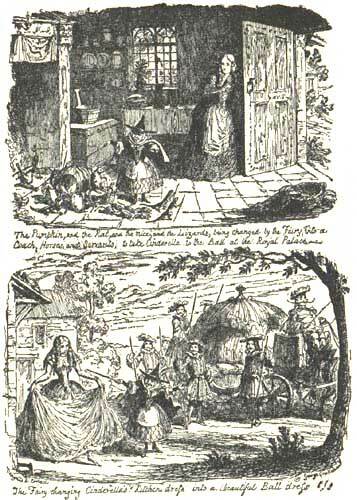 One of the central plot points of Rumplestiltskin and similar tales is the heroine's being able to name the title character, therefore freeing herself from his cruel bargain of taking her child. According to Joseph Jacobs, this was a reference to the ancient belief knowledge of a name gives you power over that person. This isn't really a common idea today, except in the case of preventing identity theft, and then it's more like your social security number becomes your important identifying trait, because so many people share first names anyway these days (although you may have noticed I don't share my last name, to preserve my anonymity...I never connected it to Rumpelstiltskin before, but I guess I do feel like I preserve a little more power because none of my readers knows who I actually am). But this idea is referenced in a couple books I've read, such as Robin McKinley's "Sunshine," or more commonly known, in Harry Potter when it's a sign of bravery that any character is willing to say Voldemort's name out loud as opposed to He-Who-Must-Not-Be-Named, where we learn that "fear of a name increases fear of the thing itself". Ancient Jews avoided saying God's name out loud out of respect, and for this reason we're not positive how exactly they pronounced the Name, we guess either Jehovah or Yaweh. The New Testament says that "at the name of Jesus every knee will bow." According to Marina Warner, naming a devil or solving a riddle he poses undoes his power. I believe that part of the reason names were linked to power was because names used to be more symbolic of representing the person it belonged to or the circumstances surrounding their birth. But it seems that most parents choose names for their babies based on liking the sound of the name, not for meaning. I have several friends who don't even know what their own name means, which I find surprising-how do you never wonder about your own name? Of course, some name meanings are less flattering than others, and different baby name books will claim different meanings, so I guess it's not too surprising that interest has waned in this area. I suppose we don't like the idea of being confined to any name definition and would prefer to see ourselves as defining our own personality. We are no longer satisfied with our destinies being determined by the stars or our parents and want to take charge on our own. But if you're interested, in my sidebar I have a link to my fairy name, from the fairy name generator. Not that I credit it with 100% accuracy or anything, but I was delighted that my description is somewhat accurate-a singer and panpipe (or, flute) player! When I don't quite have the time to research, I'll just feature artwork of a certain artist. 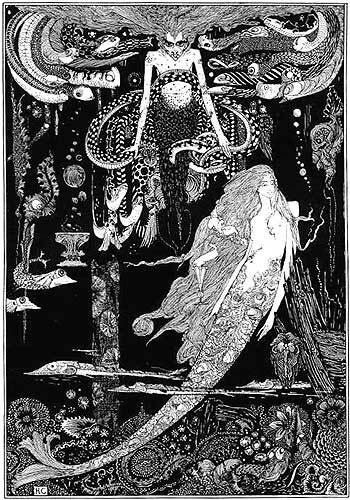 Harry Clarke (1889-1931) was an artist from Dublin. Margaret Peterson Haddix's Just Ella is a novel that reveals what happens after Cinderella's supposed "happily ever after" and how it wasn't quite so picture perfect after all. 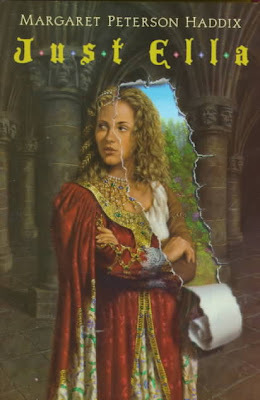 This Cinderella goes from being imprisoned by her stepmother to being virtually imprisoned by the rules and expectations of the Castle, and being engaged to a Prince she realizes she doensn't love, and doesn't love her. Haddix has some interesting things to say about beauty and ugliness, court life, and what happiness and love really are. I've done a little reading on actual court life and that's one of those things where the truth really is stranger than fiction. One little example: there was a page in Marie Antoinette's court whose job it was to carry her train around. Yet when Antoinette moved from one section of the palace to another, that page had to relinquish the job to another. The rules and restrictions are unreal and often seemingly pointless. That said, I wonder how much research went into this book, because a lot of it didn't necessarily seem believable to me. Royalty and court life were complicated and are hard for modern Americans like myself to understand, but it's painted as basically evil in this book, whereas the truth is more complex than "people who practice intricate etiquette are shallow". *"It didn't seem fair that I was now a princess and she would always be a servant, just because I looked a little prettier than her." *This Cinderella talks back to her stepmother all the time-"you are older than me. You have more power than me. But you are not my better...how many times do I have to tell you that?" yet I can't help wondering why she has the courage to sass her stepmother, yet never tried just refusing to do any work. They'd have to make their own food eventually. Once upon a time there was a merchant who had three daughters, but his wife was with God. Once he planned a journey across the ocean to a foreign land in order to bring back gold and other valuable things. He consoled his weeping children, saying, "I will bring back something beautiful for you. What do you want?" The oldest asked for a silk dress, "and it must be made of three kinds of silk." The second desired a feathered hat, "and it must have three kinds of feathers." The youngest finally said, "Bring me a rose, dear father, and it must be fresh and have three colors." The merchant promised to do this, kissed his daughters, and departed. After arriving in the foreign land, he ordered the dress of three kinds of silk for his oldest daughter and the hat with three kinds of feathers for the second one. Both were soon finished, and of seldom splendor. Then he sent messengers throughout the entire country to seek a three-colored rose for his youngest and dearest daughter, but they all returned empty handed, even though the merchant had promised a high price, and even though there were more roses there than there are daisies here. Sadly he set off for home and was downhearted the entire voyage. This side of the ocean he came to a large garden in which there was nothing but roses and roses. 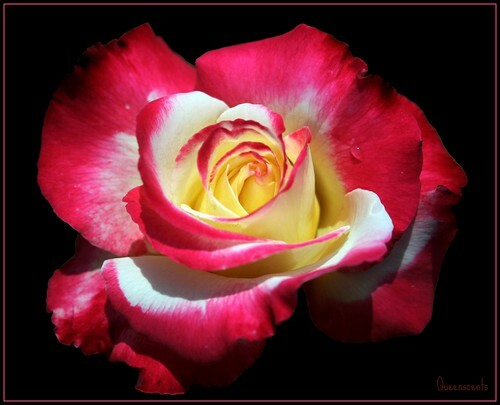 He went inside and looked, and behold, on a slender bush in the middle of the garden there was a three-colored rose. Filled with joy, he plucked it, and was about to leave, when he was magically frozen in place. A voice behind him cried out, "What do you want in my garden?" He looked up. A large frog was sitting there on the bank of a clear pond staring at him with its goggle-eyes. It said, "You have broken my dear rose. This will cost you your life unless you give me your youngest daughter to wife." The merchant was terrified. He begged and he pleaded, but all to no avail, and in the end he had to agree to marry his dearest daughter to the ugly frog. He could now move his feet, and he freely walked out of the garden. The frog called out after him, "In seven days I shall come for my wife!" With great sorrow the merchant gave his youngest daughter the fresh rose and told her what had happened. When the terrible day arrived, she crept under her bed, for she did not at all want to go. 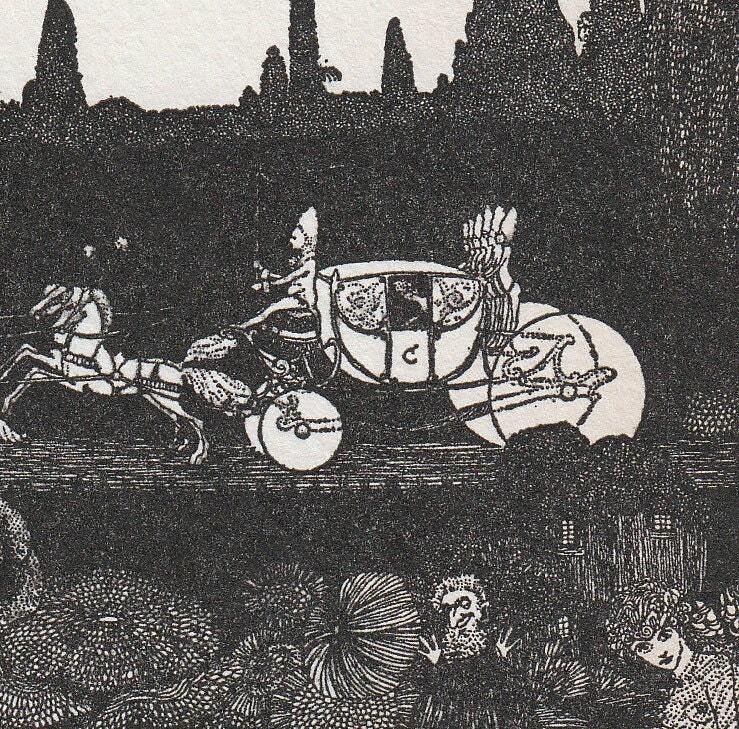 At the hour of noon a stately carriage drove up. 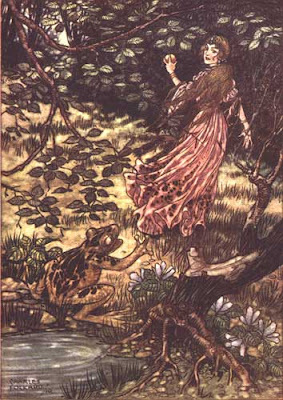 The frog sent his servants into the house, and they immediately went to the bedroom and dragged the screaming maiden from beneath her bed, then carried her to the carriage. The horses leaped forward, and a short time later they were in the blossoming rose garden. In the middle of the garden, immediately behind the clear pond, there stood a small house. They took the bride into the house and laid her on a soft bed. The frog, however, sprang into the water. Darkness fell, and after the maiden had awakened from her unconsciousness, she heard the frog outside singing wonderfully sweet melodies. 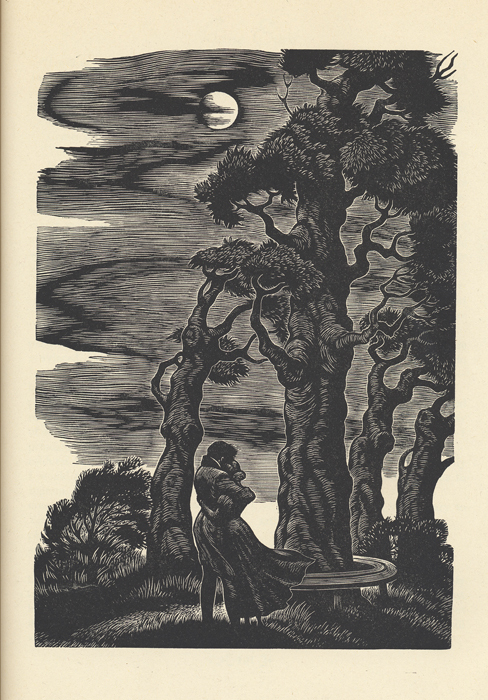 As midnight approached, he sang ever more sweetly, and came closer and closer to her. At midnight the bedroom door opened, and the frog jumped onto her bed. However, he had touched her with his sweet songs, and she took him into bed with her and warmly covered him up. The next morning when she opened her eyes, behold, the ugly frog was now the handsomest prince in the world. He thanked her with all his heart, saying, "You have redeemed me and are now my wife!" And they lived long and happily together. 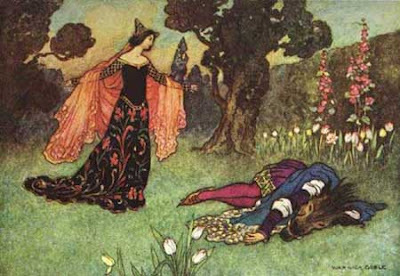 In her introduction to "The Classic Fairy Tales," Maria Tatar highlights authors that have been influenced by fairy tales, which then affects their work. Yet there are two different approaches to doing this, as illustrated by Dickens, verses Charlotte Bronte in Jane Eyre. 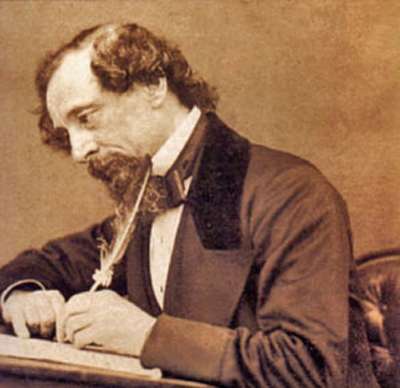 Dickens was enamored with fairy tales, and embraced all the traditional thought values of his time about them. "Like the Grimms, Dickens hailed the 'simplicity,' 'purity,' and 'innocent extravagance' of fairy tales, yet also praised the tales as powerful instruments of constructive socialization: 'It would be hard to estimate the amount of gentleness and mercy that has made its way among us through these slight channels. Forebearance, courtesy, consideration for the poor and the aged, kind treatment of animals, the love of nature, abhorrance of tyranny and brute force-many such good things have been first nourished in the child's heart by this powerful aid.'" All of the above are wonderful qualities and I'm pretty sure I've been inspired to demonstrate the characteristics listed above because of reading fairy tales-however, fairy tales may also encourage other negative stereotypes Dickens didn't mention but that were prevalent in the Victorian age. But this is no reason to throw out fairy tales altogether, or let the negative parts in their history take away from the positive. 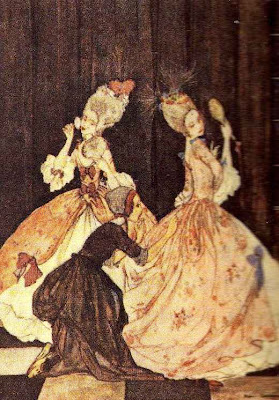 Charlotte Bronte took fairy tale themes, yet altered the outcomes-her character Jane did not react to her situations as the most passive versions of her fairy tale predecessors did. 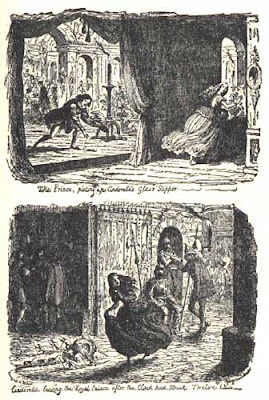 In the opening of Jane Eyre, she is mistreated by her stepmother and stepsisters, mocked and made to do menail tasks-much like Cinderella. Though Jane does go through a stage of self pity, which is only natural, she finds the courage to eventually confront her aunt. Rather than accepting her fate, she "rebels against the social reflexes of her world and writes herself out of the script." In Rochester's house, Jane finds herself in another fairy tale world-the book references Bluebeard's castle, and the house does contain a secret room with a dark secret (SPOILER ALERT: though not a collection of corpses, it does contain a wife). Though Jane loves Rochester, she cannot marry a man who is already married, even if his first wife is mentally insane. Jane's life is not defined by sitting and waiting for a man to come and save her with his love-she leaves him and starts a new life, unlike fairy tale princesses who marry the first prince who comes their way. 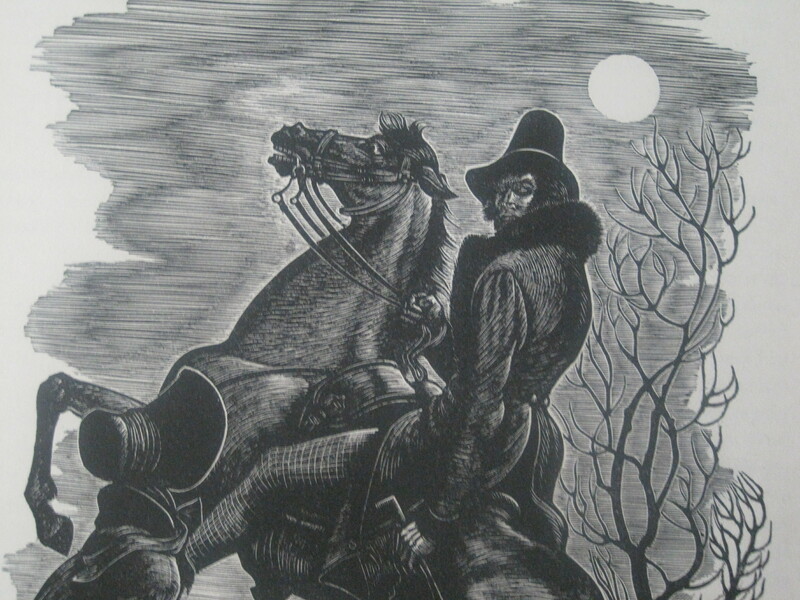 As I've pointed out before, Jane Eyre also has some allusions to Beauty and the Beast.